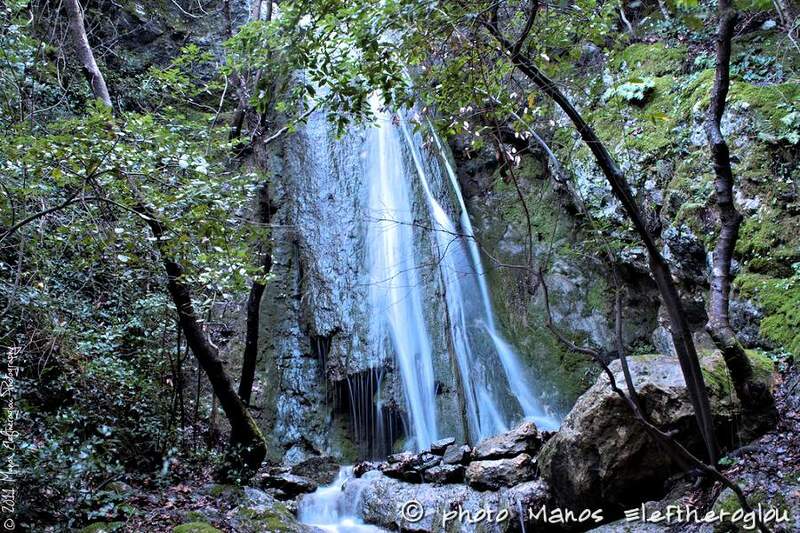 On the north side of Samos and to the west of the village of Ambelos, you’ll find the exceptional waterfalls of Ambelos, in a fairytale landscape of unparalleled natural beauty, which emphatically proves that Samos has many hidden treasures in its wild nature. 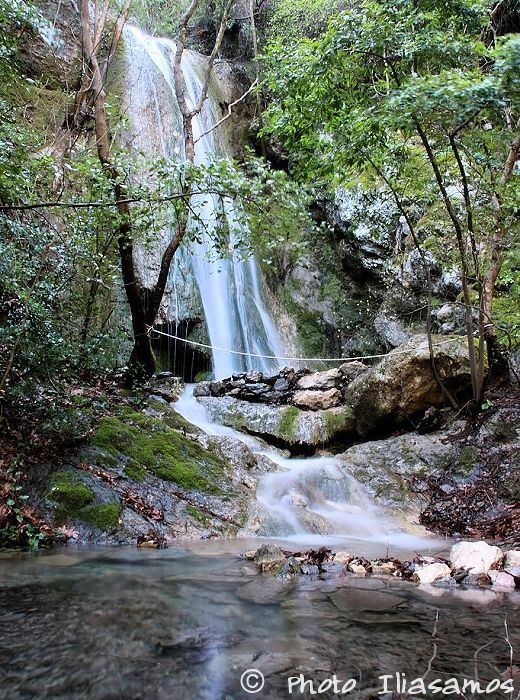 The waterfalls are at an altitude of about 300 meters, at the middle of the length of a small river, named “paliomillos” (= old mill), which flows east of the “Livadaki” area without being quite obvious. 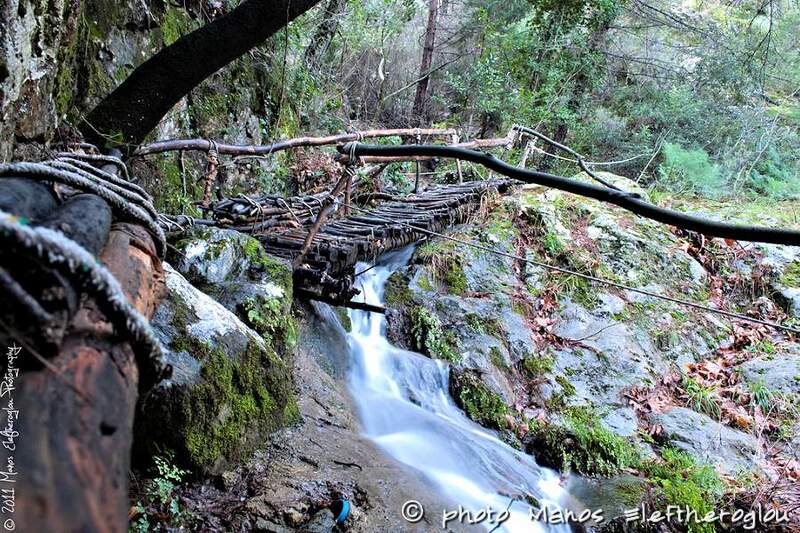 The path to the waterfalls starts from the road, just 200 meters from the parking lot at the primary school of the village of Ambelos. The sign with the painted waterfall on it will help you find it easily. 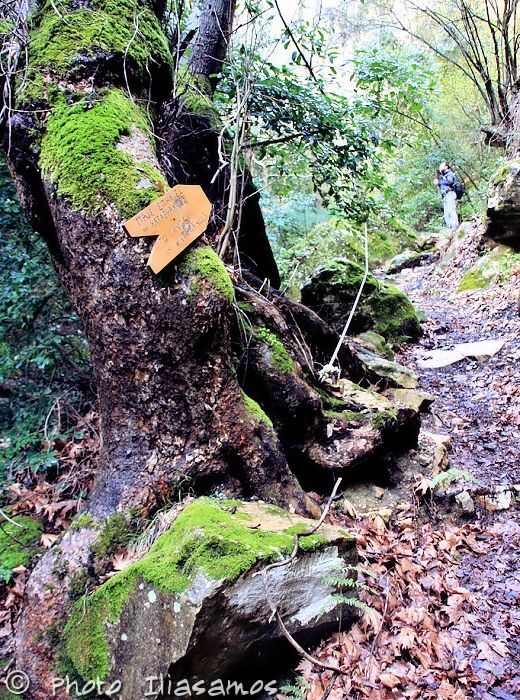 The route is about 1.5 km and you need to hike for about half hour, which will pass quickly and pleasantly, since you will surely be enchanted by the lush vegetation surrounding the forest of chestnut trees, pines and olives that conceal the sky. 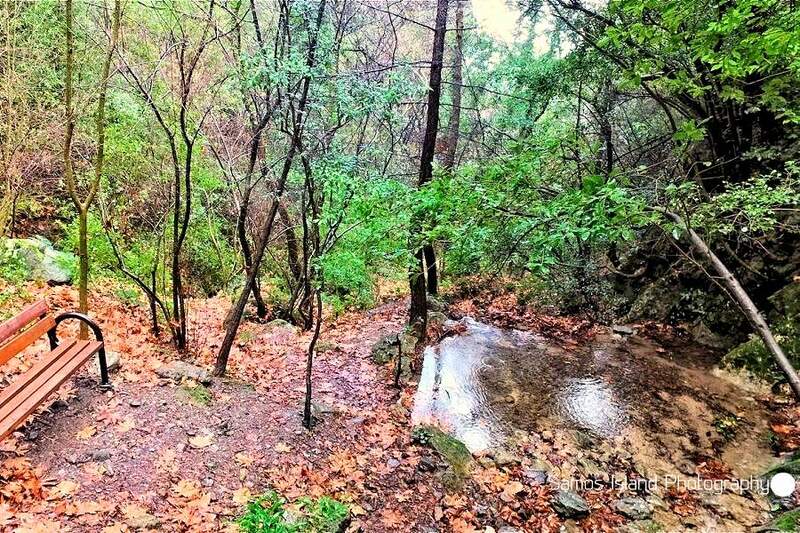 Wet soil, wood and wet leaves odors, and bird ticks create a scene of immense serenity around you. 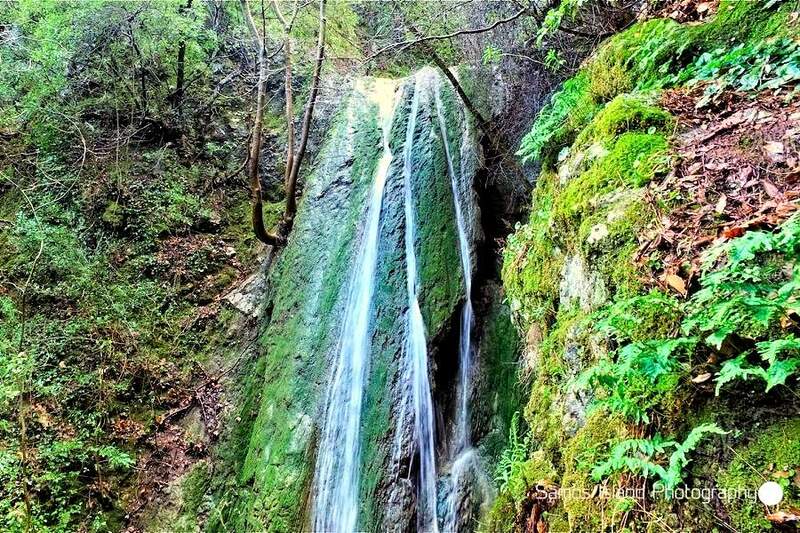 As you approach the waterfalls, the presence of running water on the trail becomes stronger, while the noise of running water leads you to a continuous uphill path, and soon you’ll see the imposing rock, about 10 meters high, from which the water falls with a crust. A small lake is formed at its feet, which reflects the whole scene. You’d better have waterproof mountaineering shoes and dry clothes in your backpack, for every chance. Upon your return make sure to enjoy drinking coffee or some fine local wine at one of the picturesque Ampelos Village taverns to complete your beautiful experience. 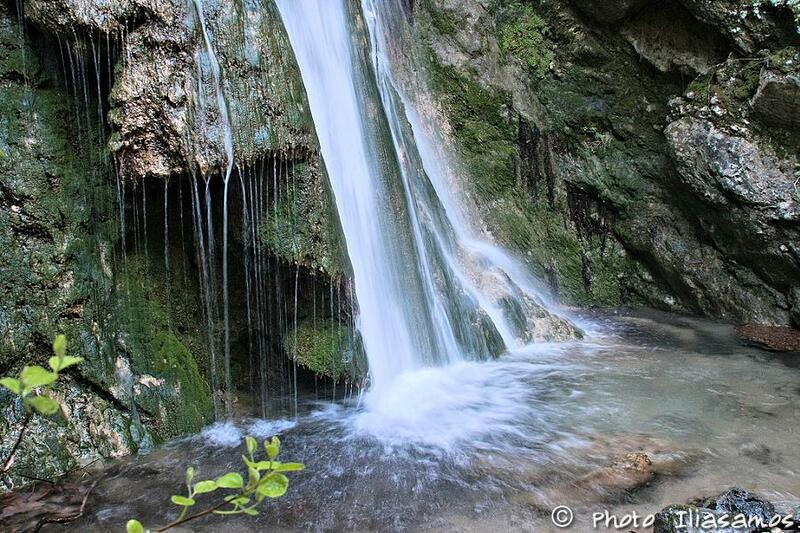 The best seson to visit the waterfalls is Spring that has lush vegetation and lots of water. Respect the environment; do not throw away rubbish or start any kind of fire. First you head to the Ampelos Village and when you get there, towards the village parking (next to the primary school). 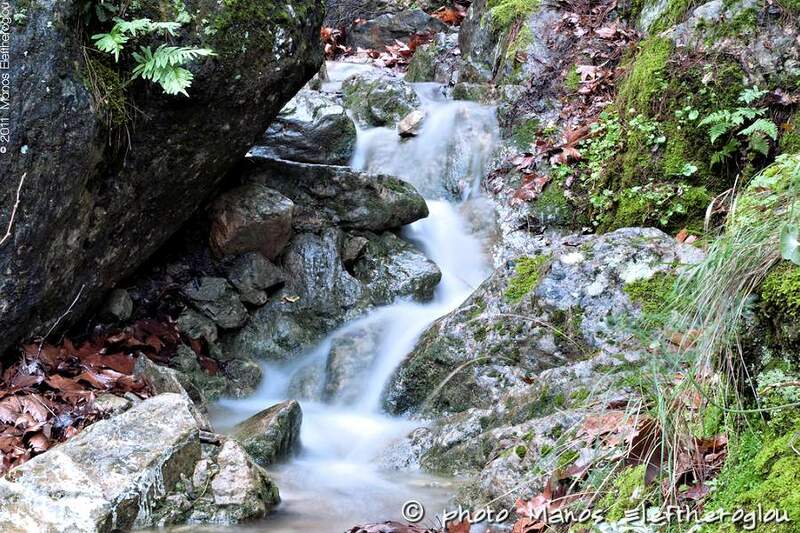 200 meters before parking, on the main road, there is a sign with a painted waterfall, from where the path starts. 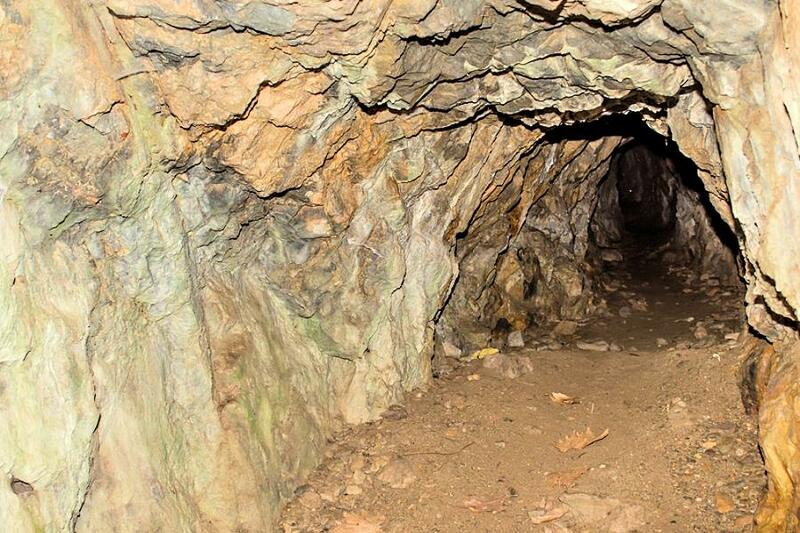 The route is about 1.5 km and you need a half hour hiking.